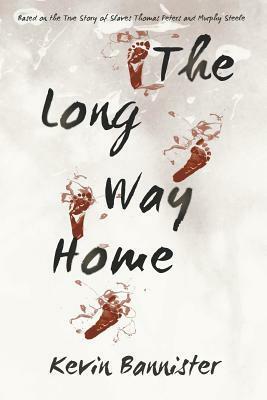 Goodreads: Set in the turbulent times of the War of Independence, 'The Long Way Home' follows the lives of Thomas Peters and Murphy Steele who are friends, former slaves, fellows-in-arms and leaders of the Black Brigade. Their real-life story is an epic adventure tale as they battle bounty hunters, racism, poverty and epidemic in their adopted country after the war. Kritters Thoughts: Murphy Steele and Thomas Peters were slaves in the United States and were ready for a new life so they join the fight for Independence, but on the British side with hopes and promises. After fighting and surviving they are promised land and such for them and their families if they move far from their homes, so they go and the adventure begins. As always with historical fiction books, I enjoy when I learn something that I didn't know before without reading a text book. I don't remember learning about former slaves joining the British to basically fight their owners and such and that they were promised freedom and more if they did so. That was interesting to read about the fighting, the promises and the after the war drama. What I didn't love about this book was the flow. There were moments where the action just stalled and I was ready for it to move along. At the same time there were moments where the action was going going and going and I loved how each page had the story moving forward. I wish that the book had been more balanced. There were times where I wished we heard more from the women that Thomas and Murphy had by their sides. We had bits and pieces here and there, but I wanted more from how the ladies had to live through a war and then being uprooted to follow their men on the adventure. I read after finishing the book that the author is working on a second and although there were parts that I enjoyed on this one I am not sure I will read book two.